Good vs Well: Why Confusing? How many times have you been asked, “How are you?” If things are going well, how do you answer? Do you say “I am good,” which is a common answer among native English speakers? Or do you say “I am well,” which is probably not commonly used? If you use the former response, you might be teased by grammar Nazis. However, the joke is on them and “I am good” is actually proper English. But why do so many people believe “I am good” is improper English? Based on the general grammar rules, only adverbs should modify verbs. Therefore, “well” would be the proper modifier of the verb “am.” Likewise, only adjectives should modify nouns and “good” is an adjective. 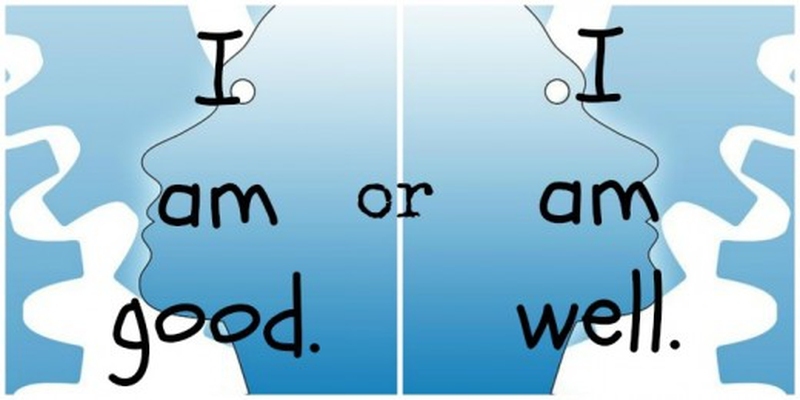 As a result, sticklers for grammar think “I am good” should be incorrect since an adjective is being use to modify the verb “am” in this sentences. However, the grammar rules aren’t so simple. Knowing which word to use in the “well” vs “good” debate revolves around an understanding of how action verbs are different from linking verbs. As the name implies, an action verb represents an action, and it is only an action verb that should be modified by an adverb. For example, the following phrase is proper English: “He climbs well.” It would be improper to say “He climbs good,” because an adjective cannot be used to modify an action verb. You told a good story. Did the team do well at the game? You swing the bat well. The ship was lost in a well-defined search grid area. He did not feel well yesterday. My cat does not look well. He doesn't feel good about missing the last question on the test. She felt good about passing the test.